Replies: 15 (Who? ), Viewed: 961 times. Can I place lamps on a sidewalk ? Will sims go around it or right through it? 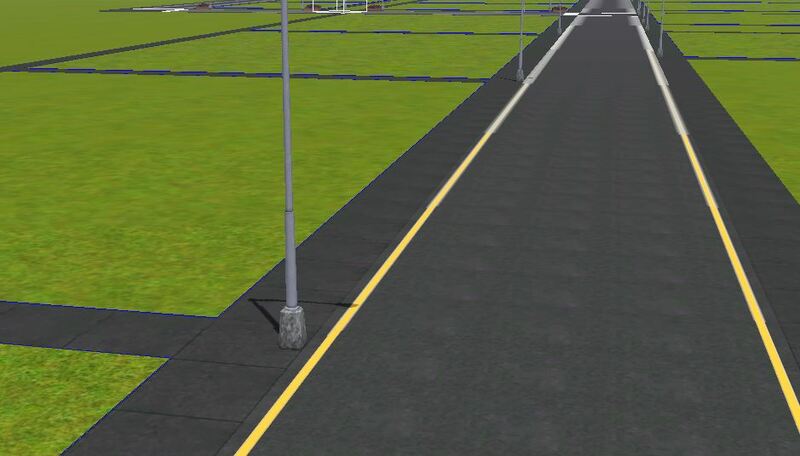 Which side of sidewalk should I place lamps on? But the lamps I use have 2 or 3 versions of them,how can I know which one is routable? Place one in your world and rebuild routing data, then take a look at it. Lamps should have a red box around them. My game version is 1.69 and so is my create-a-world tool , but I could never edit worlds in game(some error while loading any the world). It's a little problematic for me, so is there any solution to that worth of testing out? Oh, you mean that your world, when exported, won't open in game? What error do you get? Hmm, not sure what's causing that without more information. First thing I'd try is to rename the world- make sure you don't use any accents or non-alphanumeric characters. Are you using custom content in that world, and do you have a lot of objects, or trees, or lots in it? I've no idea how to add cc to CAW so I just use basic elements and the ones from store. I tried renaming it few times and didn't work , but if I'll have more time tomorrow I'll get rid of all trees and check things out. Btw there're some trees and plants whose names are weird like 22228383dbb etc , I used quite a lot of them [in prev world too] . I suppose they come from store. Might they cause this error? Btw there're some trees and plants whose names are weird like 22228383dbb etc , I used quite a lot of them [in prev world too] . I suppose they come from store. Might they cause this error? -Out of date or incompatible CC- test with your game Mods folder AND your CAW Packages folder removed. Also clear your game and CAW caches as above. Use the 50% Method to help you to find the problem files. - You have CC which depends upon objects from Store Worlds, when the Store World has been uninstalled. Reinstall the relevant Store World to test this. This may not be definitive or exhaustive, but the usual cause is if you have CC that needs a Store world or Store item, which has been uninstalled. #13 6th Apr 2019 at 3:16 PM Last edited by MadzialenaxD : 6th Apr 2019 at 3:28 PM. Where I can check CAW's version (1.67 or 1.69) ? And I see now that I used items from a world that I uninstalled. Will it solve the problem if I install it back there? Or it won't get fixed? I give up. Sunlit Tides still shows up in lauchnger as 'installed' even though it's been completely removed and doesn't figure in game or installed worlds and worlds cache... That might be the cause of crashes and errors in CAW and slow ts3 but I've run out of ideas. I calmed down and tried few things out. Is it possible that overall my TS3 is faulty so it gives an error with any world? I have this game for years now,errors and bugs occuring sometimes but never this serious....I made a new world,completely empty and it still gives an error when I try exporting world with file in usertooldata>world export works from desktop but the world is not working. I gotta wait for new laptop to try this out and I'm trying to retain hope Maybe some mods don't let CAW export the file right?